I’m thrilled to show off Kaylee and Landon’s romance, Ink By Numbers! 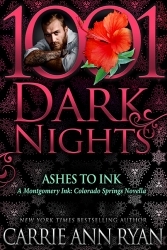 This is a bonus romance in the Montgomery Ink: Colorado Springs series and it a perfect way to spend your afternoon! Shameless With Him (Less Than Book 3) releases March 24th, 2020! The third in a new series from NYT Bestselling Author Carrie Ann Ryan! The Less Than series is coming late 2019/early 2020 and I cannot wait for you to fall for these characters! The Carr siblings have always been a unit. No matter what came at them, they stood together, even if they didn’t always get along. After losing their parents they knew they needed to fight for what was theirs, even if they only had each other. And as secrets come to light, they’ll have to decide if the past means more their futures. And along the way they’ll each take a turn falling for those that need them most of all. They say loss changes a person, but what’s left behind? And what is there to lose when you thought you lost it all? Three couples will have to figure out what their answers could be as they do the one thing that risks the most: fall. They fall hard. They fall fast. They fall hot. A Breaking Without You Giveaway! Giveaway ends April 18, 2019. FROM BREATH AND RUIN is LIVE! It’s here! 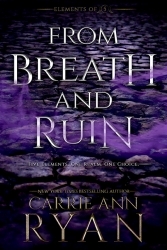 From Breath and Ruin (Elements of Five Book 1) is here! I’m so excited for you to join Lyric on her journey! And when you’re done and wanting more, check out the Elements of Five Discussion Group. From Breath and Ruin in Hardcover! From Breath and Ruin (Elements of Five Book 1) releases on Tuesday in eBook, Audio, Paperback, and now HARDCOVER! The other books will also be release in hardcover on release day!